File this under you must be joking. A town in the Netherlands is installing safety measures at intersections to keep local “smartphone zombies” (people so engrossed in their phones that they have no idea what’s happening around them) from walking into oncoming traffic. That’s right — we can’t look up long enough to see if we have the walk sign, so our governments have to take action to protect us from ourselves. In the Netherlands, the safety features will take the form of illuminated strips on the ground that are synced to traffic lights, so pedestrians can see whether it’s safe to walk without looking up. 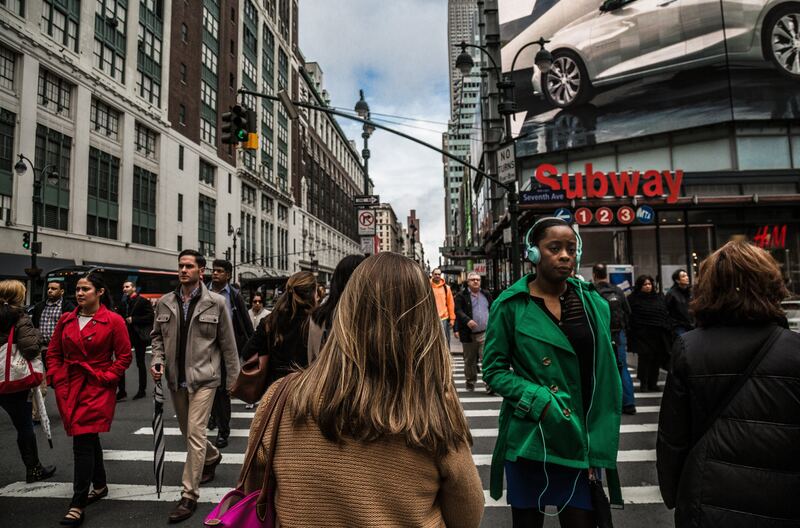 Before you dismiss this as a Dutch quirk, “distracted walking” is a problem in the U.S. too. As the Washington Post summarized, the first time the National Safety Council released statistics on “distracted walking” was in 2015, and they found that it accounted for more than 11,000 injuries between 2000 and 2011. Some critics of the safety measures say that they’ll only encourage more zombie-like behavior. Our take? It’s tragic that we need such measures at all. And aside from the clear safety risk, our inability to put our phones down for even a second is a reflection of how mindlessly we engage with technology in all walks of life. It’s time to literally look up and be more conscious of our relationship with screens, and try to engage more meaningfully (and safely) with our surroundings.